This is our most popular cowboy headstall. 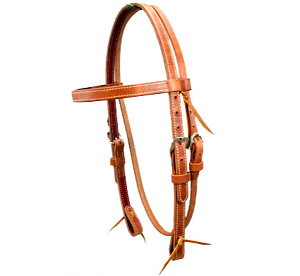 Hermann Oak harness leather, browband style with throatlatch. Lined , with 3/4" construction throughout . Stainless steel buckles an d leather bridle ties.